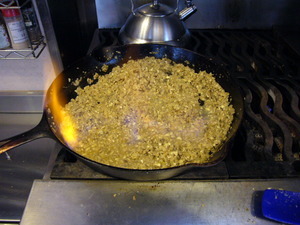 Mince the onions finely, and saute in a large pan in half the butter. 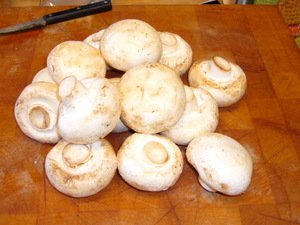 Trim and clean the mushrooms. 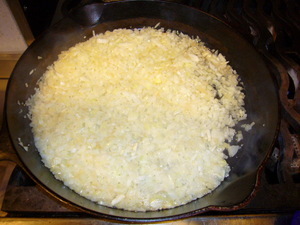 Cook the onions till they soften, and start to brown. 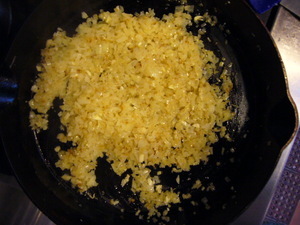 Add the finely minced garlic. 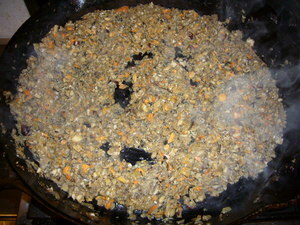 Add the cognac (or brandy) and flame. Be careful. 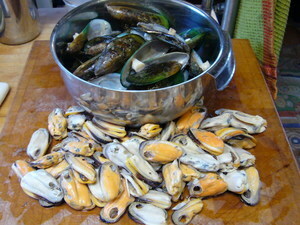 Remove the mussels from their shells. Be careful to remove any broken slivers. Reserve the shells. 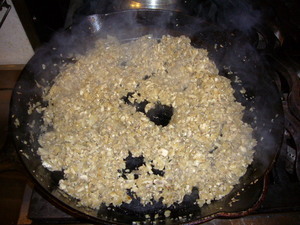 Add the mussels to the pan, and saute till the moisture is evaporated. 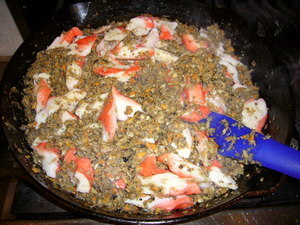 Break up the pieces of imitation crab and stir in the heavy cream. 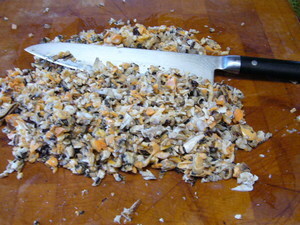 Adjust seasoning with salt and pepper. 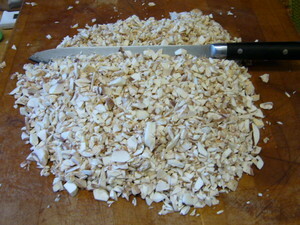 Use this filling to stuff the shells, and then sprinkle with bread crumbs and paprika. 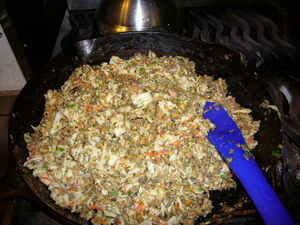 Bake at 350 for about 15 minutes or till hot.